An artfully effervescent hard apple cider heightened with tropical pineapple and guava to celebrate the warmth of social festivity. 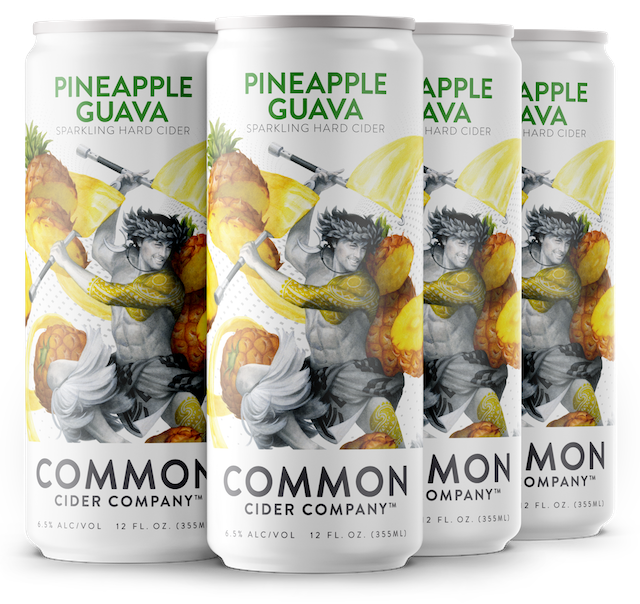 Our Hawaii-inspired pineapple guava hard cider actually started out as a seasonal in 2017 but response was so strong that we have made it one of our year round products. It’s bright, fruity and off-dry; perfect with light food dishes or just by itself, with a few friends of course. This gem also took home the Silver medal at the 2018 New York International Beer Competition, and at the 2018 World Cider Competition. Fun Fact: When you see a pineapple you think Hawaii but they actually originated in South America and are believed to have made their way to Hawaii via the Spanish in the 16th century.